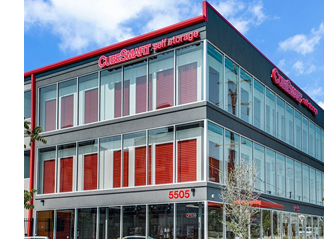 ​​​ ​​DALLAS – A CubeSmart-branded, 100,239-sf self-storage facility at 5505 Maple Ave., has a new owner. The 1,111-unit, Class A self-storage building was opened in March 2017 and occupies 2.2 acres near the Dallas North Tollway and I-35E. Download The Real Estate Center's variety of free DFW Retail Market Research.